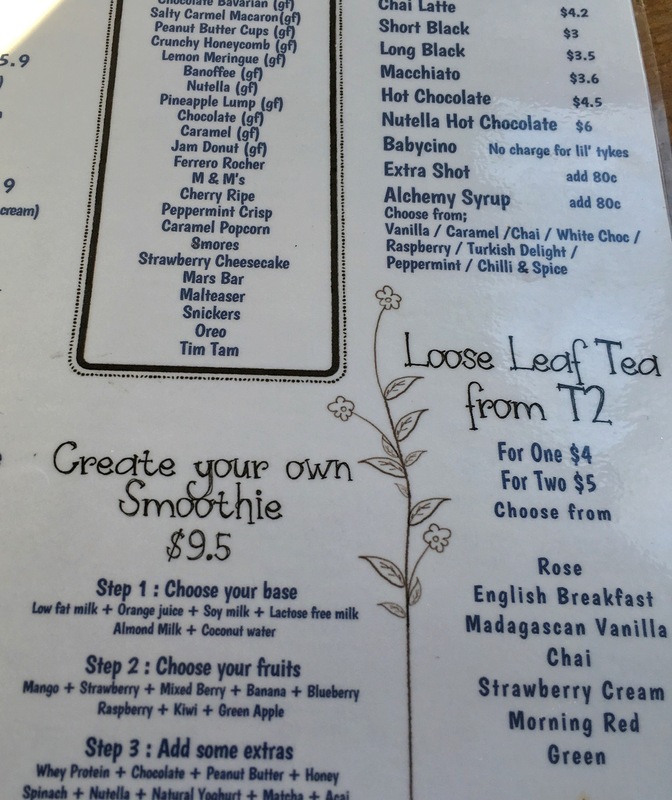 We recently stopped by a neat little cafe for Sunday breakfast. 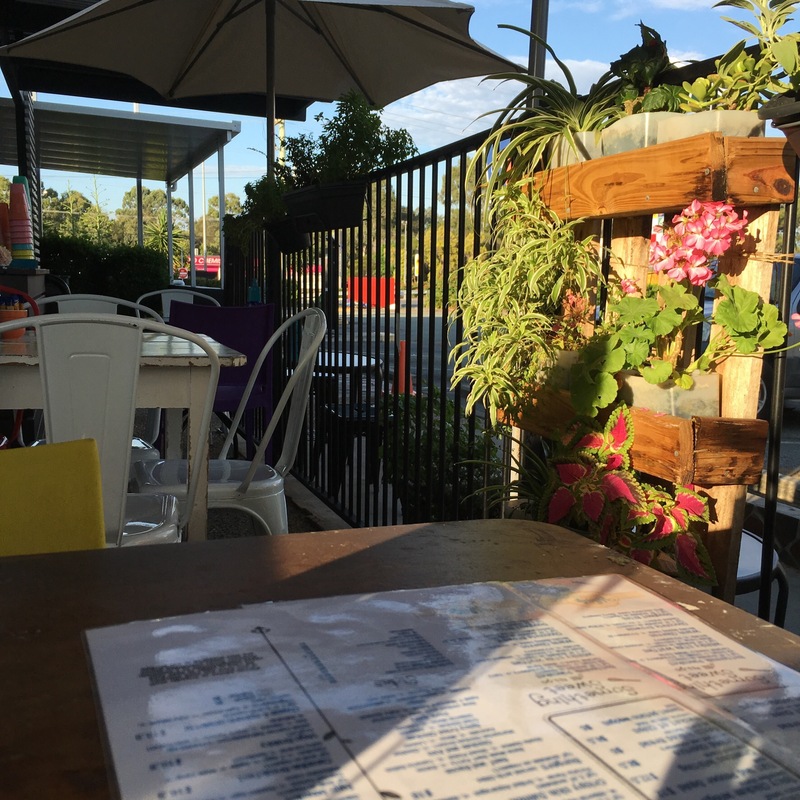 Nestled in amongst the Aspley Homemaker retail precinct, corner Gympie and Zillmere Roads, Rice Cafe is part of a furniture/homeware shop. 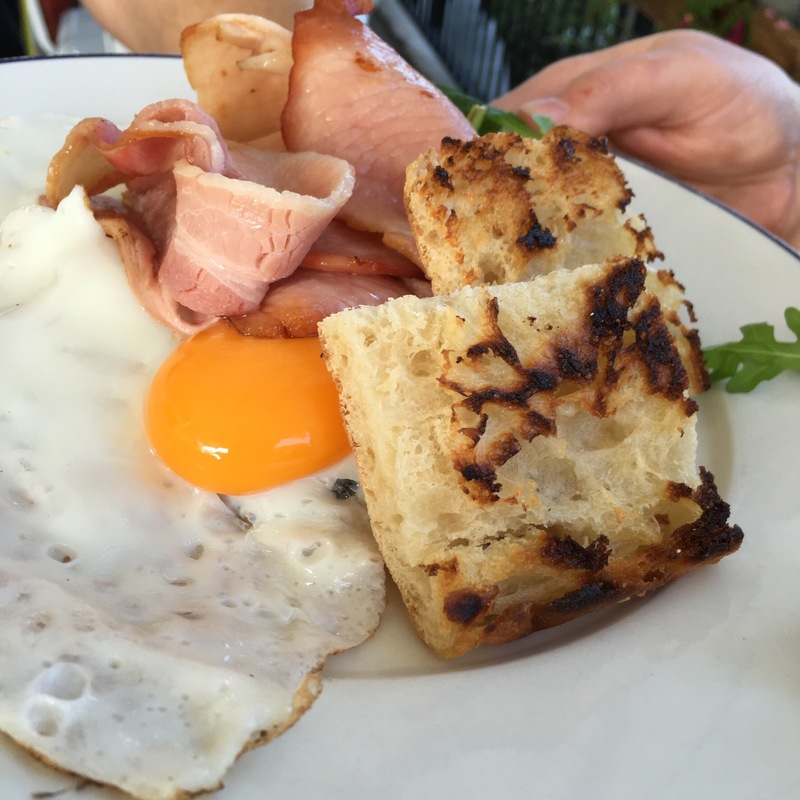 A simple menu, however Sunday offered the opportunity for a kickstart barbecue brekky. Today however, we chose from the above selection. 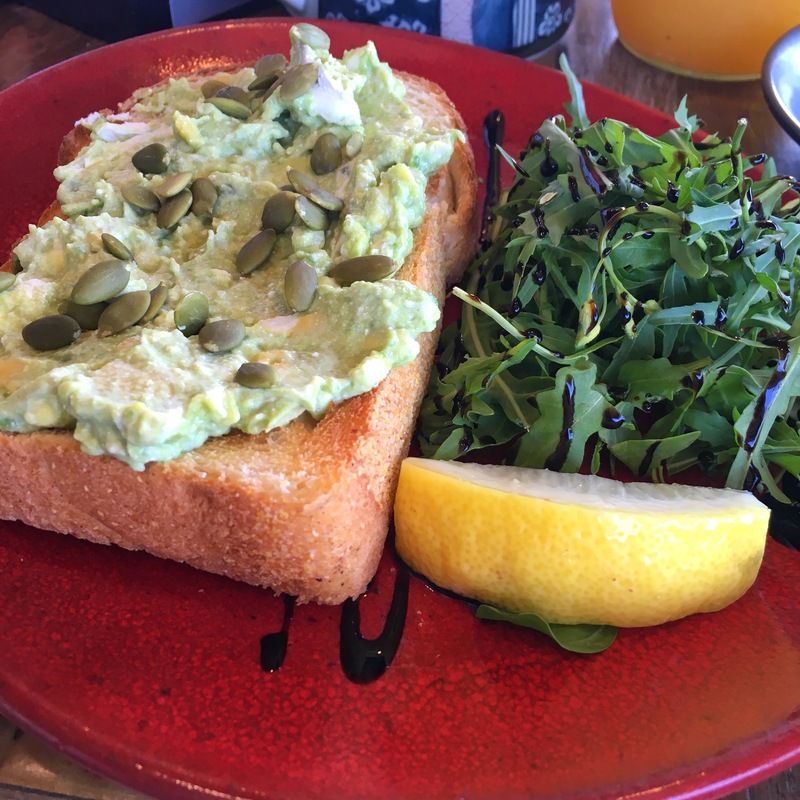 Avocado & Feta on toast was my choice today and, I’d have to say, very enjoyable. Loved the corn bread! Adding a squeeze of lemon juice really pepped up the avocado turning a very simplistic meal into a tasty start to the day. 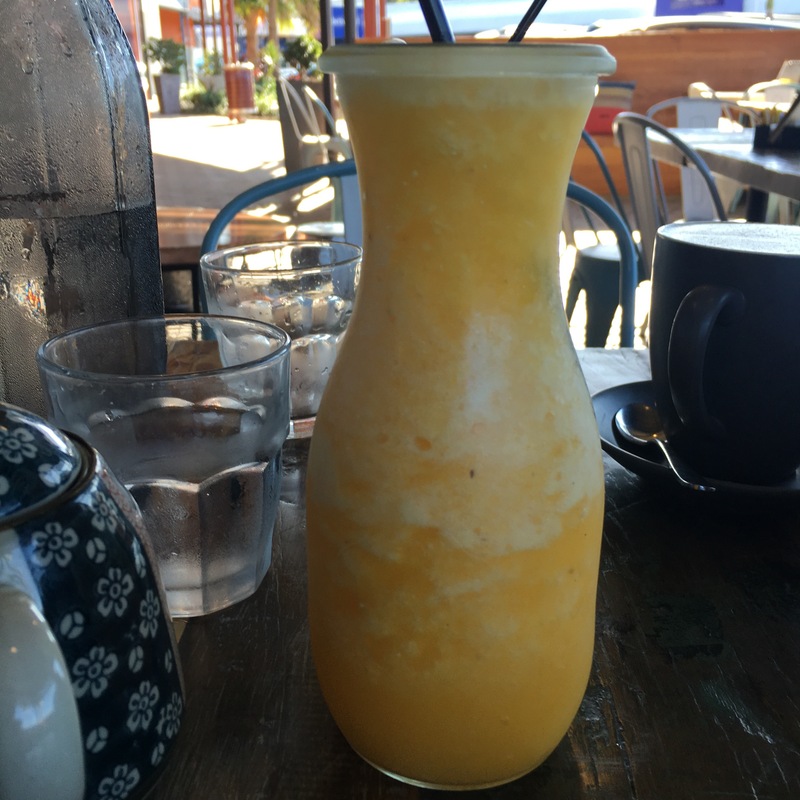 Coupled with my squeezed orange juice, I’d have to say I really did enjoy this cafe. Not normally a fan of the ‘healthier option’, hubby surprised me by choosing from the menu as opposed to the barbecue. 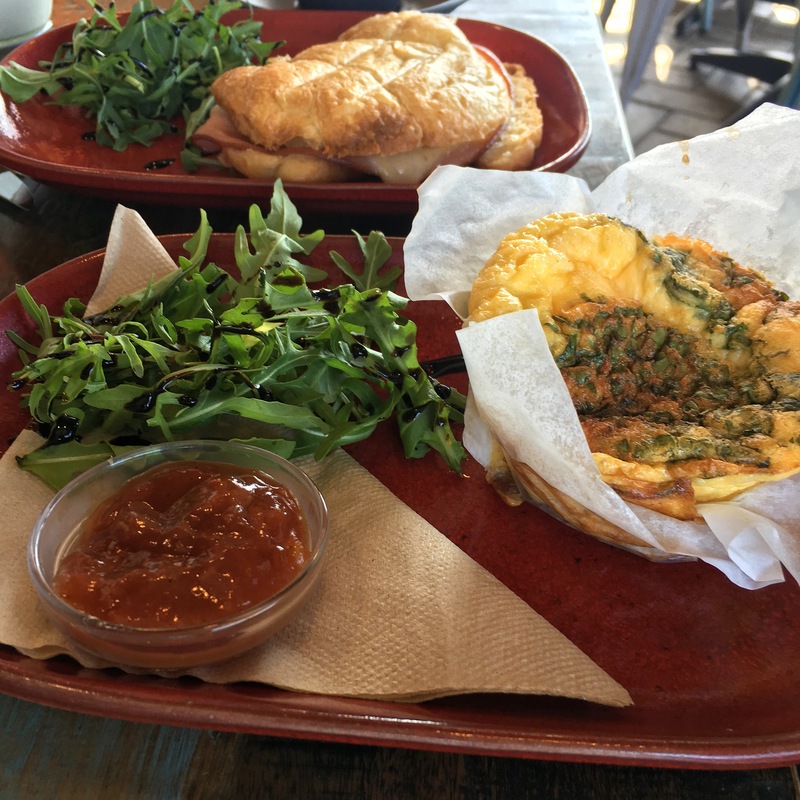 Choosing a croissant and a breakfast frittata, he was suitably impressed with his choice. Ok there is no full kitchen here, but they have managed to produce a small selection of tasty dishes which can be enjoyed to fill the hole in the stomach whilst you flit between the retail shops in this complex. Will definitely have to go back, there looked to be some interesting furniture in there too! You hear the stories, repeatedly, but is it real? 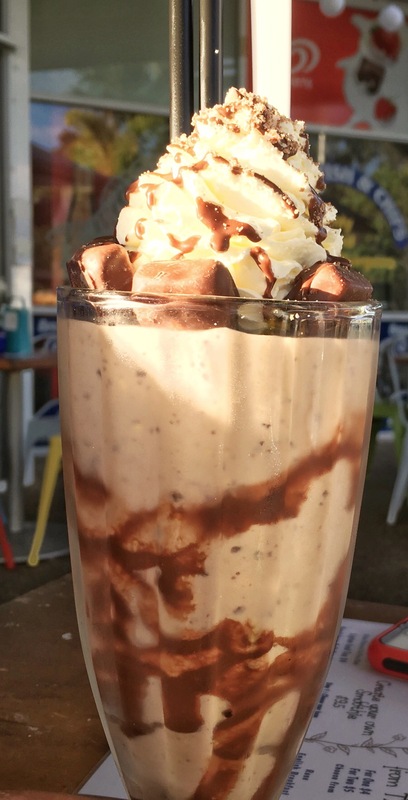 Are the thick shakes to absolutely die for?? Well hubby thought so. As for me, I have to admit to not being a fan of smoothies, juices, shakes, soft drinks or coffee. Yep pretty .much a bit boring, green or herbal teas, water or wine is all I drink. However, on this occasion it seemed appropriate. to test run a shake. Decision made to do this, then comes the choice of which one to choose. Quite a selection! My decision was made, let’s test run the Lemon Meringue. The entire shake tasted like the lemon filling you would find in a lemon meringue pie. Thick meringue topped with cream, finished the shake. Very indulgent. Unable to finish this delicious tasting treat, hubby came valiantly to my rescue, taking one for the team, and finishing the remainder. 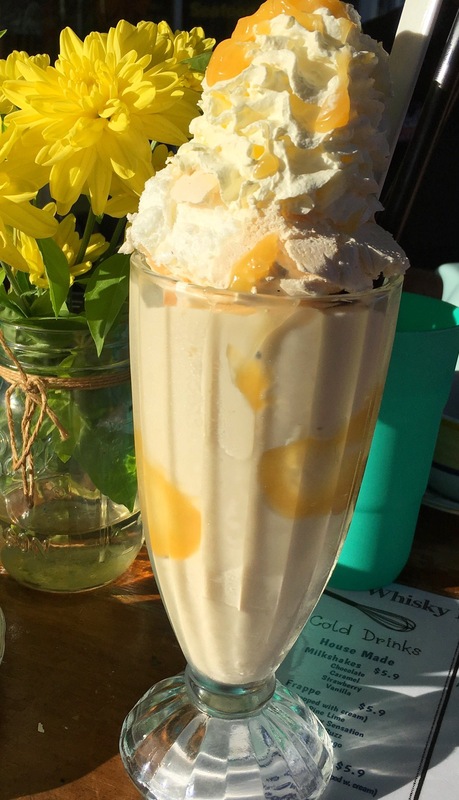 Not a small feat, given he had already indulged in a pineapple lump shake (below), which was full of crushed up pineapple lumps. 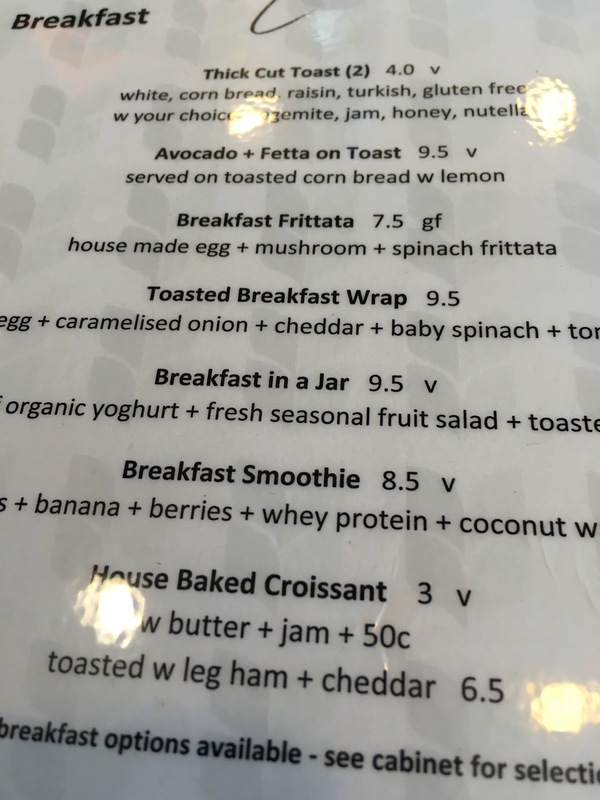 Enough with these decadent delights, time to try the brekky meals. 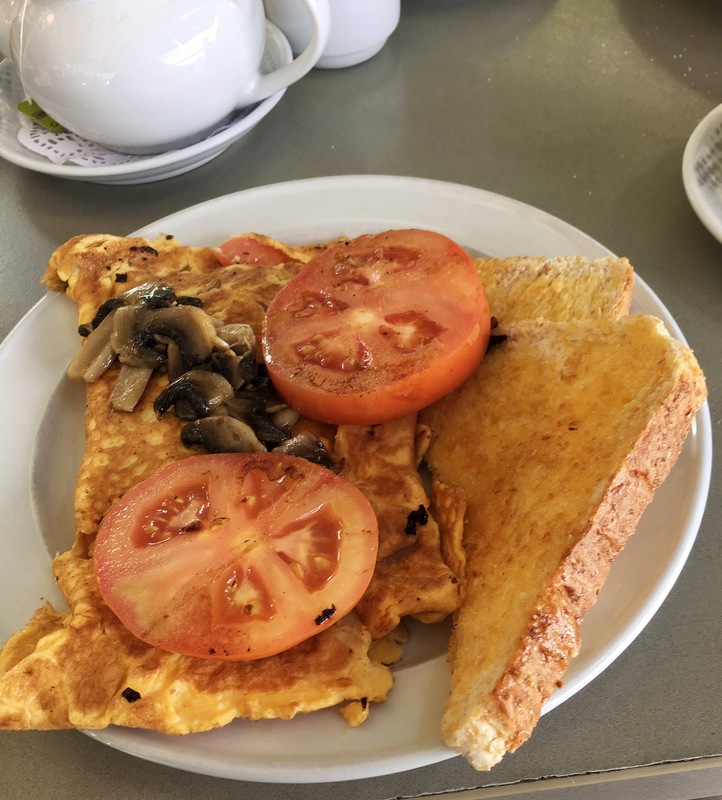 A couple of weeks previously, I really did think I had eaten one of the best omelettes I had ever tasted. Today though, the omelette was even better, if that were possible. My only disappointment was being unable to finish this golden, fluffy treat. Serves me right for overindulging with a shake! Bacon & eggs, simple yet I’m told a nice meal. 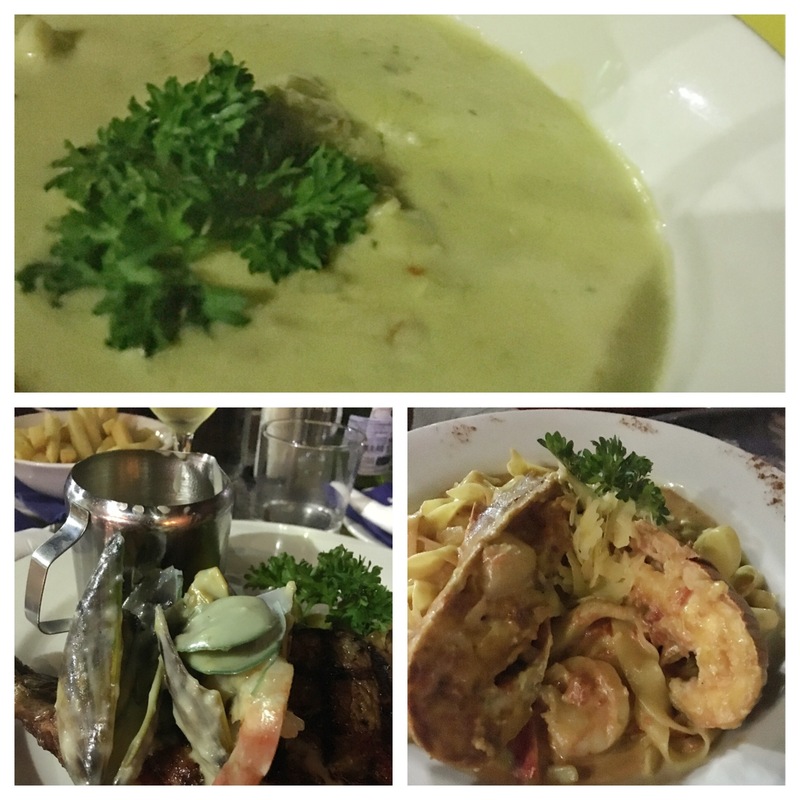 We enjoyed fabulous hospitality at the local Harvey’s Bar & Bistro. So much so that whilst we partook in the karaoke, met fantastic people and soaked up the general atmosphere, particularly one evening, I didn’t take many photos! 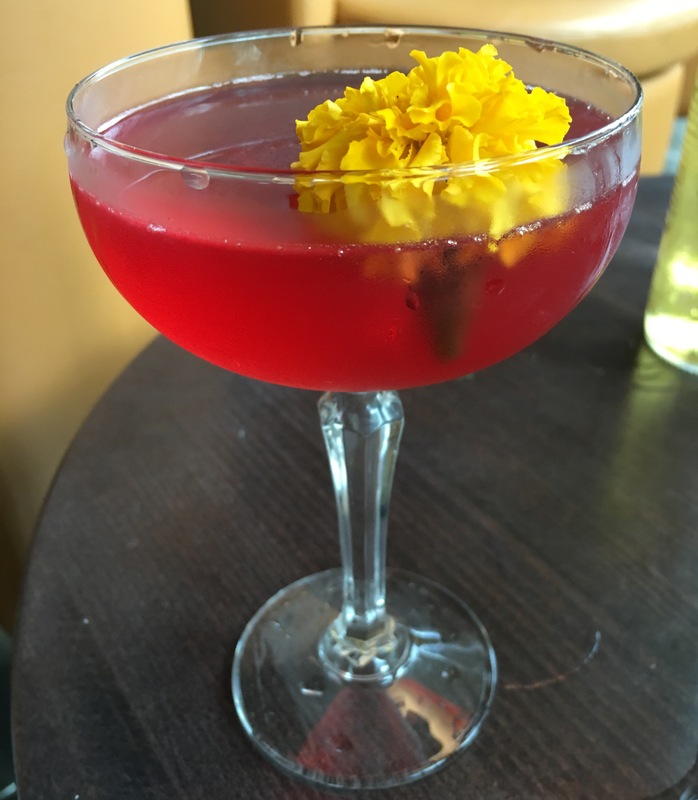 However, the food we have enjoyed here in the past has generally been of a high standard, with the owners, JT & Claire creating a joint mix which works fabulously. JT runs back of house, whilst Claire runs front of house. This young, hardworking couple have created a fantastic environment, which has arisen from their dedication to the business. Choose from a table under sheltered deck area or inside the roomy venue. With plenty of room around tables, you don’t feel cramped in or like you’re sitting on top of your neighbours. The seafood platter for one is an example of JT’s highly delicious and well presented handiwork. Highly recommend a visit to this bar, perhaps for lunch, maybe a few relaxing drinks, or to check out the entertainment on offer. Staff are friendly, helpful and well trained. Check out the different menus on offer, perhaps the $25 Friday night bottomless banquet, (10% discount if his book), or, the $12.50 Sunday roast. With a variety of specials running, you won’t be disappointed. We have to admit a soft spot for this venue and one to which we will keep returning. 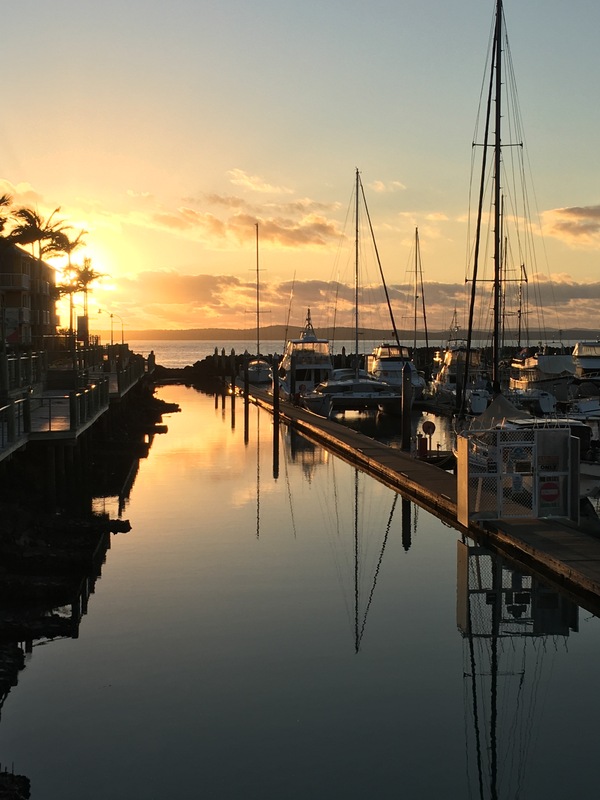 Hervey Bay itself is hop, skip jump from Brisbane, around 3 1/2 hours. Ok not a daily drive, but one we will make again soon to ensure we enjoy the hospitality on offer here. You won’t go hungry here! Plus the bar has a great selection to wet the whistle, not to forget that Ben & Jerry Ice cream freezer! JT & Claire look forward to your visit (I’m sure they will)! What can I say, we really have fallen in love with this delightful area. When you continually experience views like this, how could you not be taken aback by the beauty of natures canvas. Staying again @mantraherveybay it has been our pleasure to once more enjoy the hospitality of some of the businesses around the area. 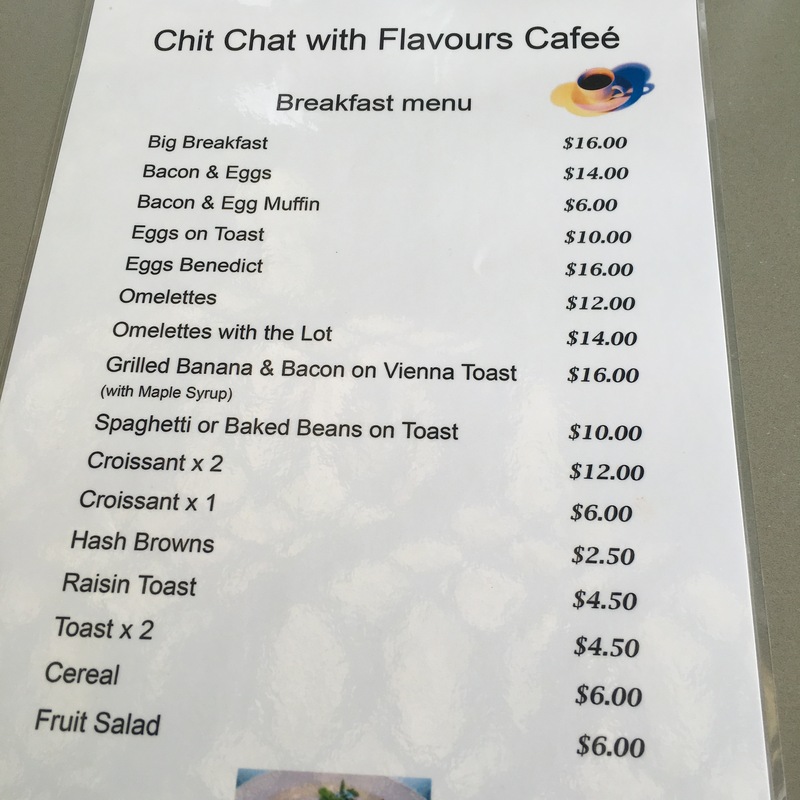 One of our favourite breakfast Cafes has closed. This time, we gave the friendly ladies at ‘Chit Chat with Flavours Cafee’ a try. Their personalised service, ability to interact, have a laugh and show such genuine gratitude when thanked for their food and service, is definitely a draw card for us. 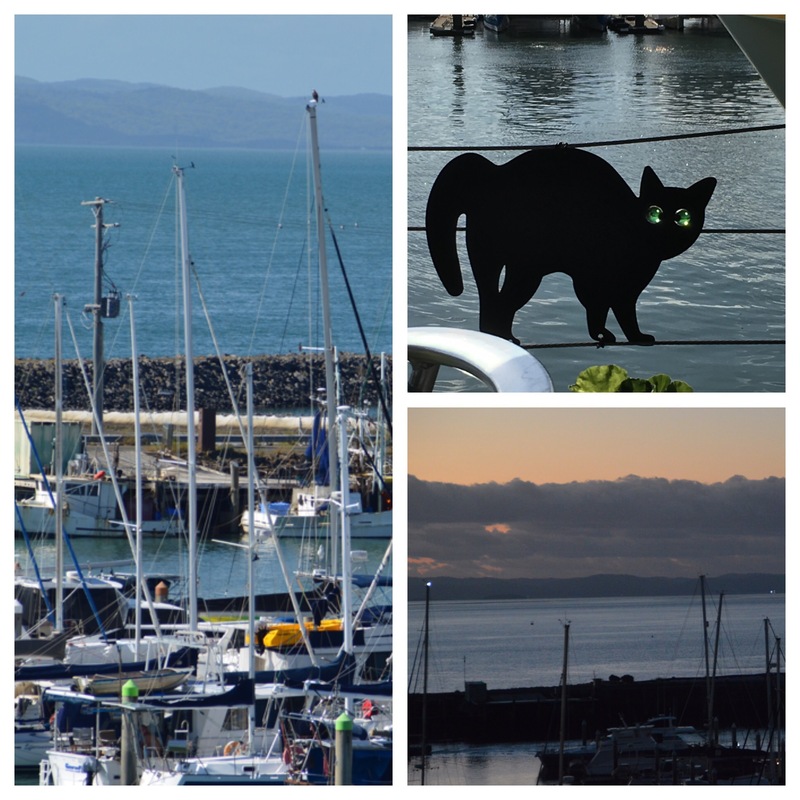 The coffee here was deemed by our group, as the best on the Marina, with the food very homemade and down to earth.. OverallVery homely, and an enjoyable experience. Basic meals without all the frills attached. 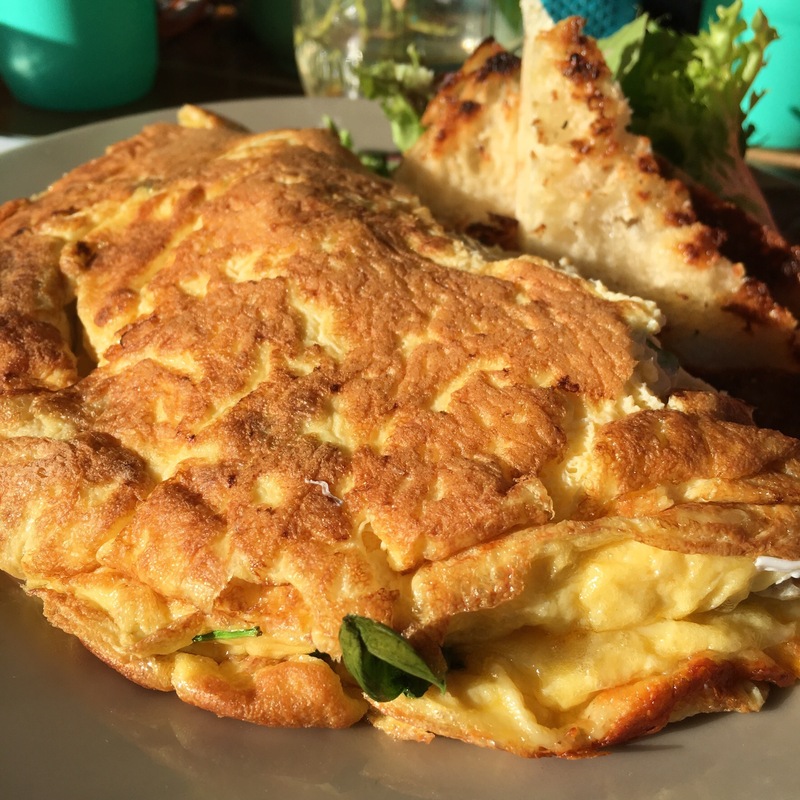 I savoured every morsel of this delicious omelette, with the lot. To be honest, one of the best omelettes I’ve enjoyed in a long time. Filled with ham, plus bursting with the genuine home / farm style taste of days gone by, certainly helped to make this a most enjoyable start to the day. Be sure to drop by and visit these lovely ladies, atmosphere and general chit chat will kick you off on a nice way start to the day. Or perhaps you would prefer go relax with a coffee throughout the day. As with any of the cafes/restaurants along here, the vistas across the marina toward Fraser Island are one of the most relaxing and constantly moving views anywhere. There is always something to watch. The ever changing moods are fabulous. 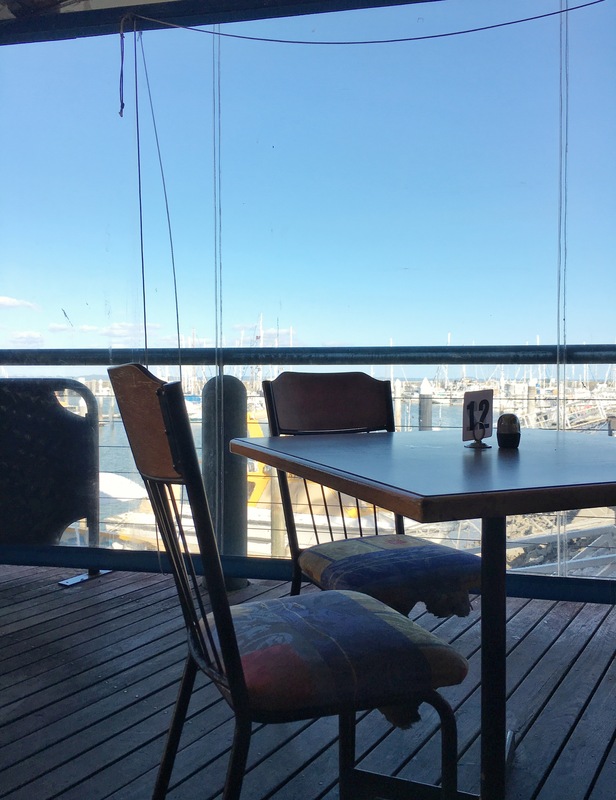 Enjoy a walk along the well designed boardwalk, stroll up to the local boat club for a meal or entertainment, visit one of the friendly Boardwalk businesses or simply relax on your balcony. 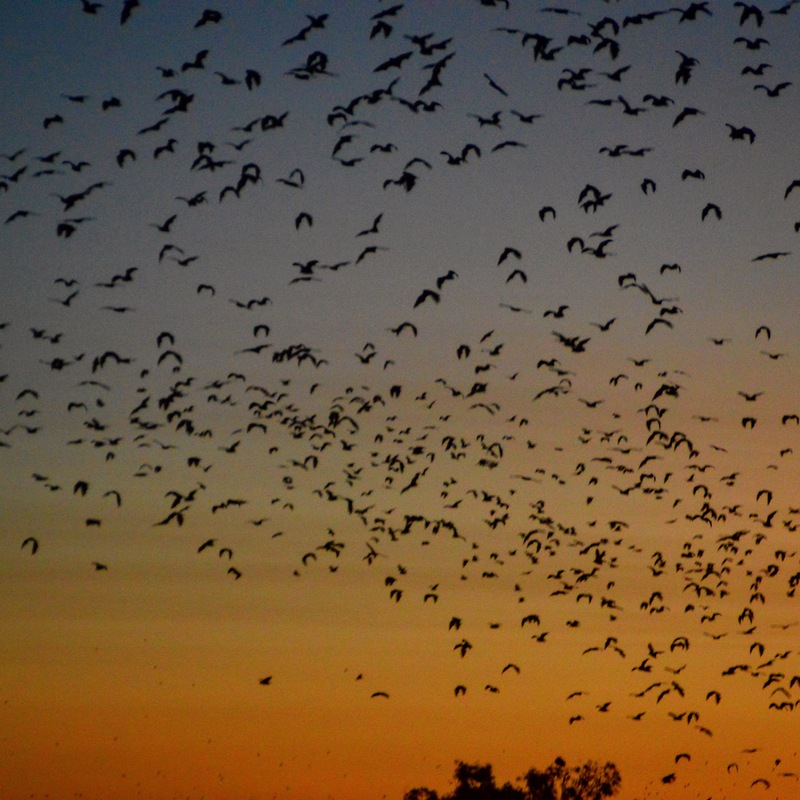 As evening draws closer, just as the sun is setting, be prepared for the amazing spectacular sight of thousands upon thousands of bats. Very silently, over the course of five-ten minutes, they arise en mass from the park they have slept in for the day, heading towards Fraser Island, before peeling off to their chosen feeding destination. An every day occurrence for the locals, but an awesome sight for visitors. 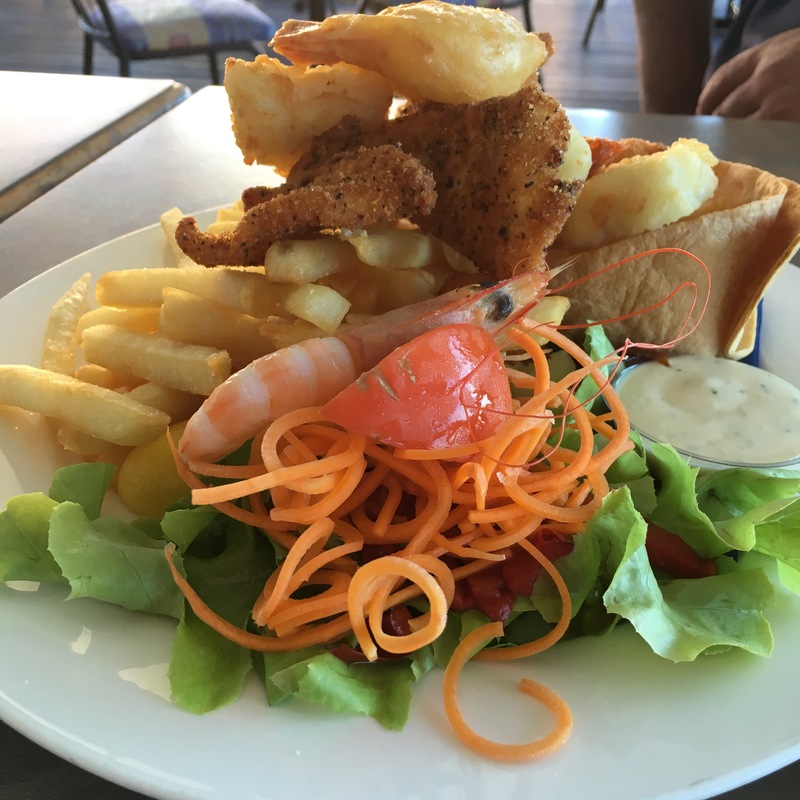 Don’t forget to drop into Harvey’s Bar & Bistro!- Check their review being posted with this one……Enjoy your stay in Harvey Bay! We are definitely returning! 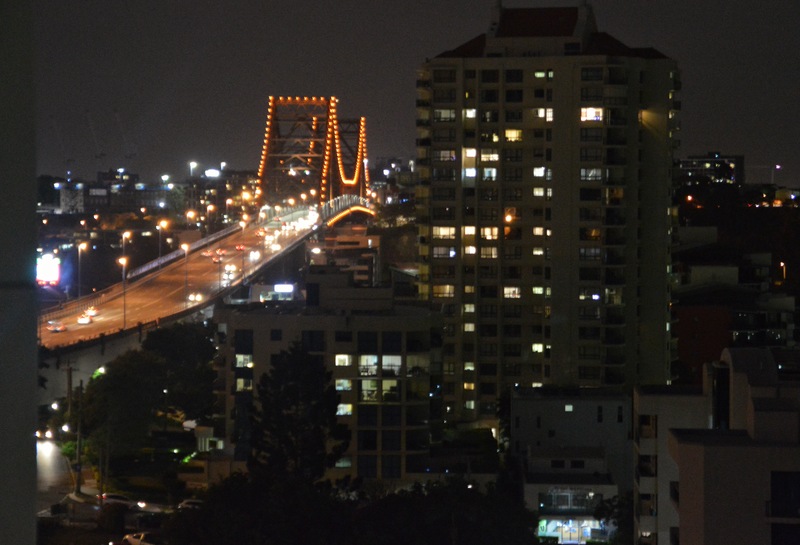 We recently enjoyed a night at The Point Hotel, located near the Story Bridge, in Brisbane. 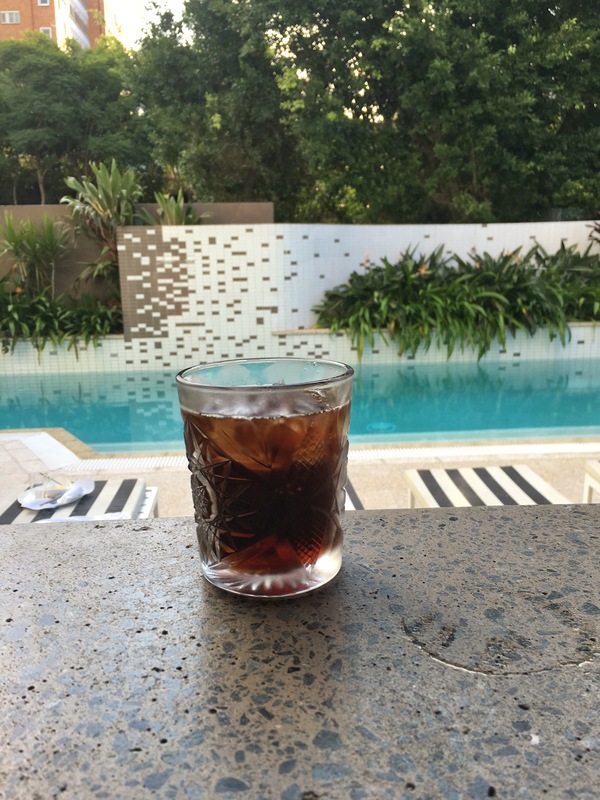 One of the bonuses here, is the very close location to the Brisbane River. A mere few minutes walk to take the free ferry service, giving you the opportunity to hop across the river and check out the city or Southbank. Rooms are very roomy, service was of a high standard and the added perks of a cheese platter with bottle of bubbly with the room, were a definite draw card. The pool was popular with patrons, enjoying the private location, tucked away from prevailing winds. Nearby the cosy bar offered bar meals as well as a cocktail list. Ok two drinks in a row, however you may be starting to get the point here. 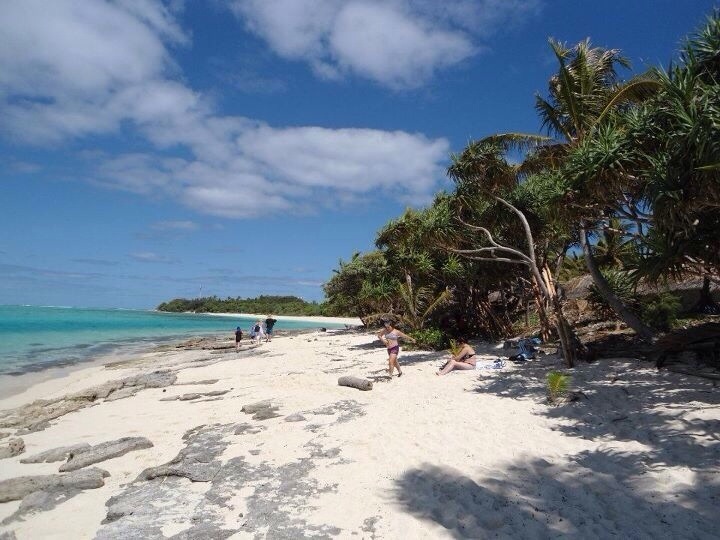 We found this place very relaxing. Yes I do admit, to preferring a nice balcony, however the atmosphere inside the hotel, helped one to chill out. A definite bonus. The restaurant attached was Lambets. Plenty of space, nice vistas over the pool if you are seated on that side, with friendly helpful staff. Meals were well presented. Now tell me these do not look appealing !! 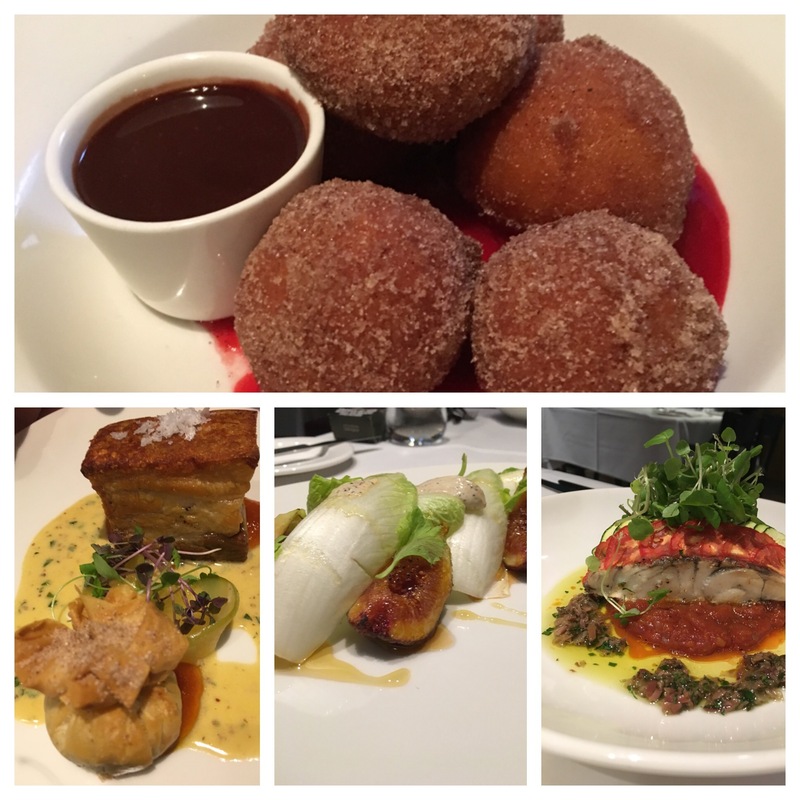 Cinnamon donuts with the softest inners, pork belly, figs and an awesome barramundi. Presentation feeds the eyes which in turn encourages the stomach. Not one of these dishes disappointed in any way. How can you top a night like this? 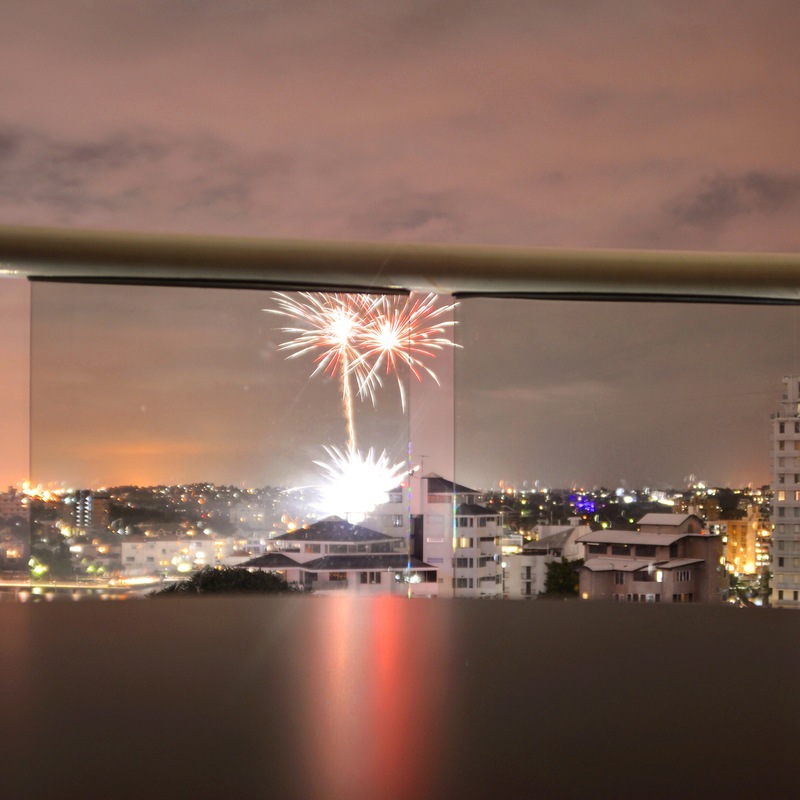 Go to your room, step upon the balcony and be met with what we considered to be an impromptu fireworks display. Still not sure of the reason behind the explosions of colour, however, it was most enjoyed. I would only offer one fair criticism for the hotel and that is the time to return the credit card deposit. We find most hotels to be prompt with the cancellation of bonds, however a few do straggle behind. My tip, particularly if you are going to be staying at subsequent hotels, is to pay your room deposit via cash. We are always told it is the bank holding the deposit which may be the case, however if it is, why do different hotels return the deposit from the same bank immediately, whilst our worst case scenario is two full weeks. A small point which needs to be considered, particularly if you are on holiday and hotel hopping. If you are a visitor to Brisbane, this is a good choice of hotel, mainly give location, value and size of the rooms. Check out Lambets too, those meals are fantastic !